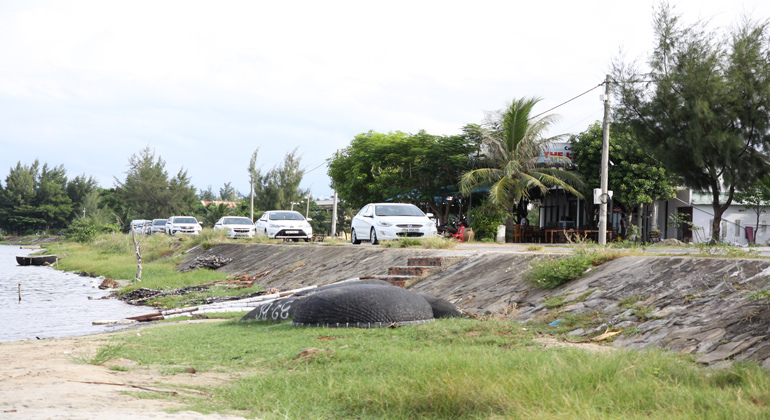 Transfer from Hoi An to Dong Hoi by car will take about 5.5 hours (294 kilometers). However, you may enjoy several scenery and make quick stops along the way. 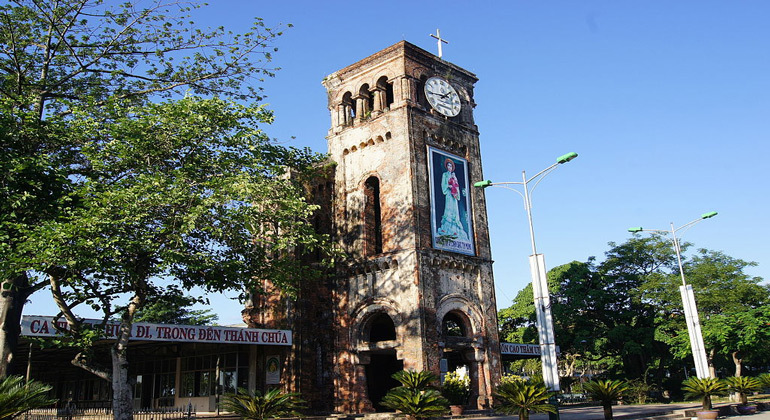 The route from Hoi An to Dong Hoi by car includes the Demilitarized Zone where the you’ll find historical sites that worth visiting. 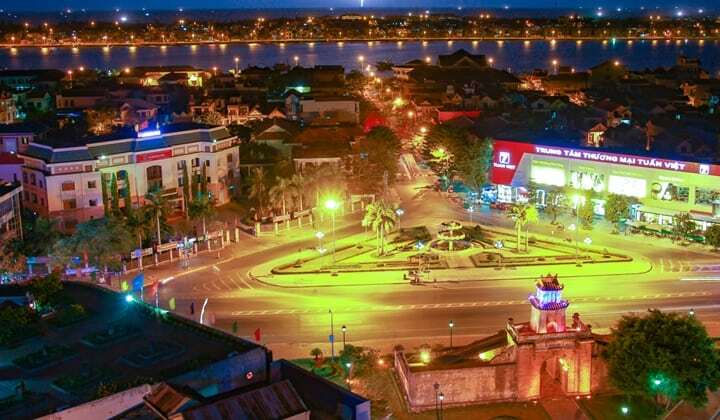 Travelling from Hoi An to Dong Hoi by private car with professional driver is safe, comfortable and convenient and also give you a chance to know more about the local life, Vietnam Culture! Free of charges if you ask the driver to stop on the way for taking photos, having lunch, drinking Vietnamese coffee. Join us and take the opportunity to see the amazing landscapes of Central Vietnam on the way from Hoi An to Dong Hoi. We also provide Dong Hoi to Hoi An by private car with same price. Marble Mountain is the popular title for these 5 elemental mountains: Metal (Venus), Wood (Jupiter), Water (Mercury), Earth (Saturn) and Fire (Mars). Presently, there is just one mountain open for public viewing, so passengers simply go to Water Mountain. This one is the biggest and exist the historic and delightful site for sightseeing and discover. Hai Van Pass – This breathtaking 21-kilometer road winding along the mountainside between Hue and Danang is a must-see. Lang Co Beach – Sitting just north of the Hai Van Pass, Lang Co Bay is an untouched beauty – a small coastal town offering an array of local beach restaurants and cafes. 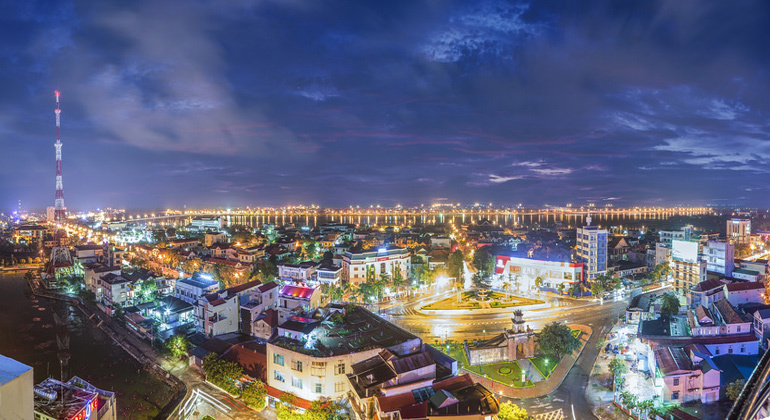 Has been voted as one of the most beautiful bays in the world and certainly one of the best in Vietnam. 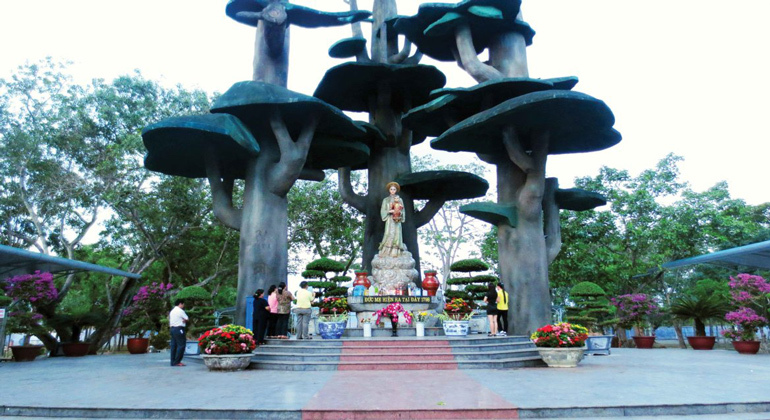 La Vang Holy Land – Considered as one of the most important places of pilgrimage for Roman Catholics in Vietnam because of its history and the iconic statue of Mary near the three banyan trees. 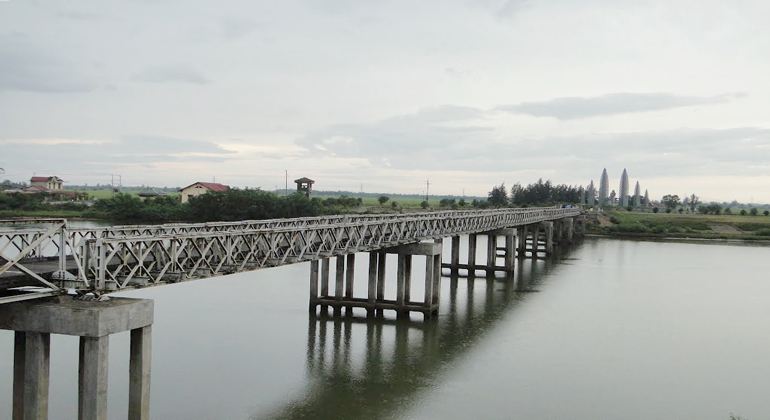 Hien Luong Bridge – The bridge spanning the Ben Hai River that connected the North and South of Vietnam. It symbolizes the unity between the two warring areas of the country. Vinh Moc Tunnels (upon request) – Complex underground tunnels that were strategically made and sheltered hundreds of villagers during the war. A slightly easier to get in and go around compared to the Cu Chi Tunnels in the South. After stopping at all your requested destinations, our experienced and friendly driver will drop you off at your hotel! 1. 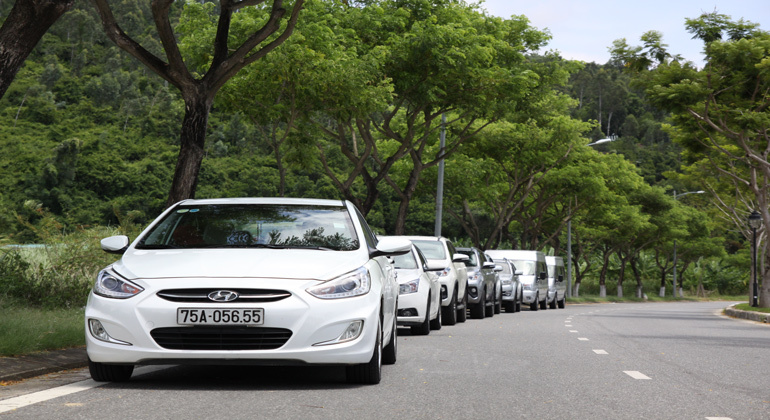 Does your company have limited time to visit if we want to rent a private car from Hoi An to Dong Hoi? 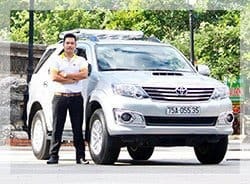 – For the private transfer such as Hoi An to Dong Hoi, that price per car not person which included an English speaking driver; 24/7 chat, email or call support; toll and airport fees and charges, door to door service; free Wi-Fi on board and bottle of water. 3. How long does it take from our hotel in Hoi An to Dong Hoi city? The transfer from Hoi An to Dong Hoi, It takes about 5.5- 6 hours if you go direct but if you want to stop for taking pictures at many places on the way it would be longer than. And actually it depends on how long you spend time for each stops. 4. What happen if unfornately we canceled the transfer from Hoi An to Dong Hoi? 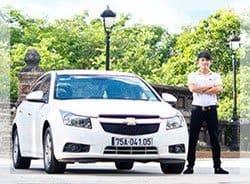 You can cancel your booking without any fees charge with the private car from Hoi An to Dong Hoi but only for one day before your trip starts. After that time, you’ll pay for the fee charges. 5. Does your driver can speak English if we want to know something during our trip from Hoi An to Dong Hoi by car? Yes, they can. We are always so proud of our drivers who can speak Basic English communication or better but they are not tour guides so they have limitation. 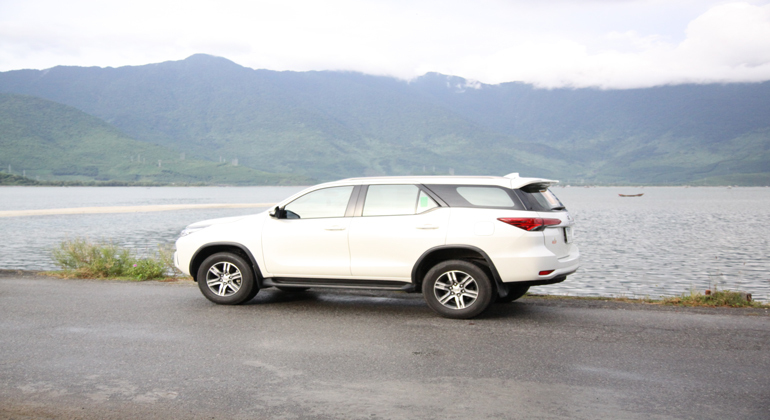 If you take the private car from Hoi An to Dong Hoi, you will stop at Marble Mountain , Hai Van Pass, Lap An lagoon, La Vang Holy land, Hien Luong bridge, Vinh Moc tunnel (Upon request) and our drivers also can give you some information about each place. We will be continue delivering excellent services for you. 6. Where will we meet our driver for the trip to Dong Hoi from Hoi An? 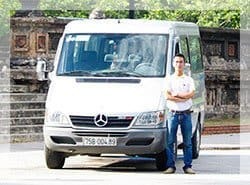 With Hoi An to Dong Hoi transfer, all drivers wear our company uniform and will inform your hotel reception upon their arrival. The booking confirmation email also states information regarding pick up location, time and date of our rental. In case you are not still able to reach the driver or locate the office, you can anytime get in touch with our support team via call or email. Used private car Hoi An to Dong Hoi city. The driver, Trung was kind enough to stop by whenever we wanted to take a photograph and brought us to a souvenir store when my friend wanted to buy some, and recommended us a place to drink coffee. 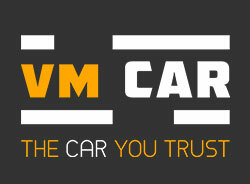 The vehicle was comfortable and clean and the price very reasonable. Absolutely recommended! Transfer from Hoi An to Dong Hoi is one of my most unforgettable experience in Vietnam. Actually, I adore Vietnamese history, especially the events taking place in the Central. Therefore, I assume this tour is designed and operated for me. Thanks to Anthony, I discovered the interesting facts about the places on the way from Hoi An to Dong Hoi such as Marble Moutain, Hai Van Pass, and Hien Luong Bridge. I must admit that Anthony is not only a thoughtful driver but he is a knowledgeable tour guide as well. His English was good so I didn’t have any problems to talk to him. Once again, thank you so much!